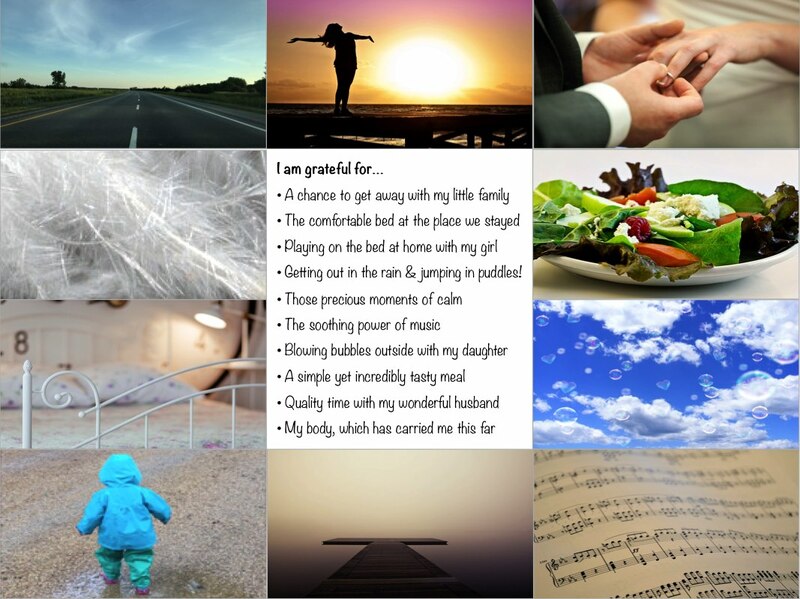 It’s been a week since I set myself the gratitude list ‘treasure hunt’ challenge. What were the results? Time to find out. I came up with the treasure hunt idea to encourage myself to write gratitude lists more often. On reflection, I can’t honestly say that I felt any more motivated than usual. What spurred me on most, I think, was the fact that I’d promised to write this blog post! But I did find myself thinking about things I’m grateful for more often, and in more detail. I didn’t need to set a reminder on my phone or add a new line to my ‘to do’ list; I naturally noticed these sources of gratitude and immediately thought about a picture I could put with them to bring them to life on the page. In the past, when doing gratitude lists I’ve had a tendency to write about the big things – my family, my friends, my home, my health… all very important, and certainly worthy of their places on the list. But what about the little things in life? Those small victories, moments of peace, unexpected joys? They’re worth celebrating too. My treasure hunt game certainly made me focus more on the day-to-day, and my final list reflects this. Did the treasure hunt game make gratitude lists more fun? Absolutely! I enjoyed thinking about which images could go with each thing on the list. It was fun to bring them all together at the end of the week, and satisfying to see the result. Admittedly, I won’t be putting together these visual treats every day. But I really hope that I do return to them regularly. They’re good for me, I know they are. And – as I’ve discovered – they can be fun too.